Our mobile outdoor advertising agents offers several printing services such as large format print, high resolution print, vinyl banners, billboard print, commercial and residential wall murals. 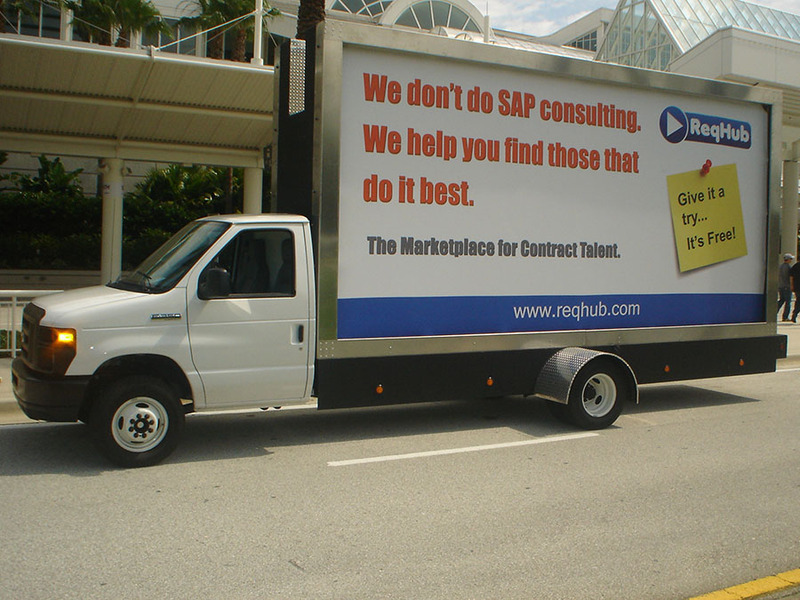 Mobile billboards and billboard trucks are the most cost saving way to advertise. With today’s advertising market and demands, outdoor mobile media is one of the most effective and efficient forms of advertising. Ask us about our Washington agency and consulting services. We have been providing great advertising and mobile outdoor marketing to the Washington area for years.